Wedding colors can add to the beauty of the season and location, while setting the mood and dictating the design and fashion choices. 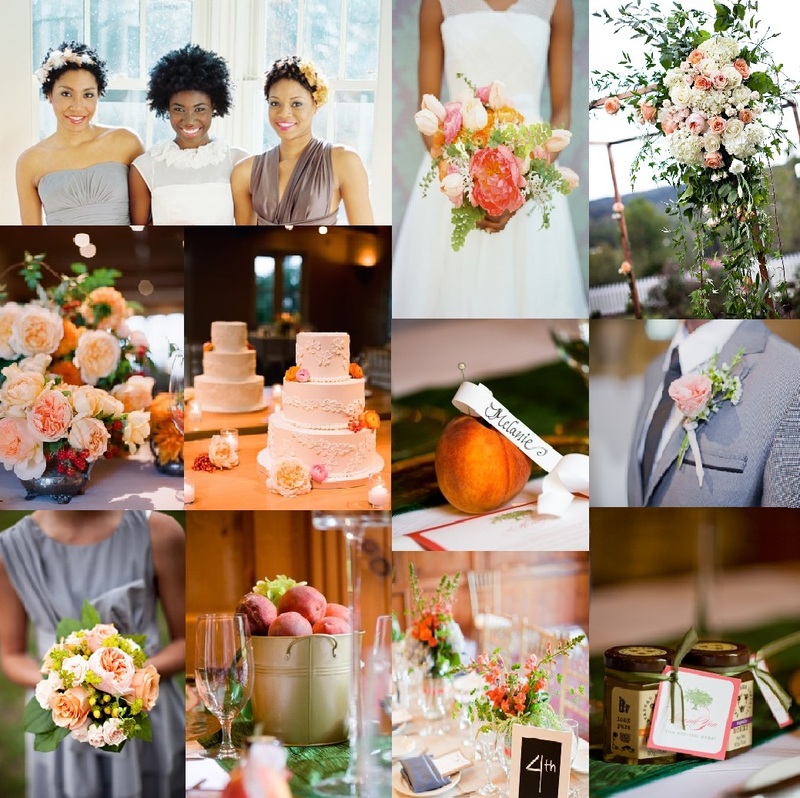 This inspiration board was designed with a Southern (Georgia) Garden Wedding in mind, using peaches with peach flowers and gray details. With each detail used, you can imagine the intimate celebration full of personal touches, pretty details and a whole lot of love.